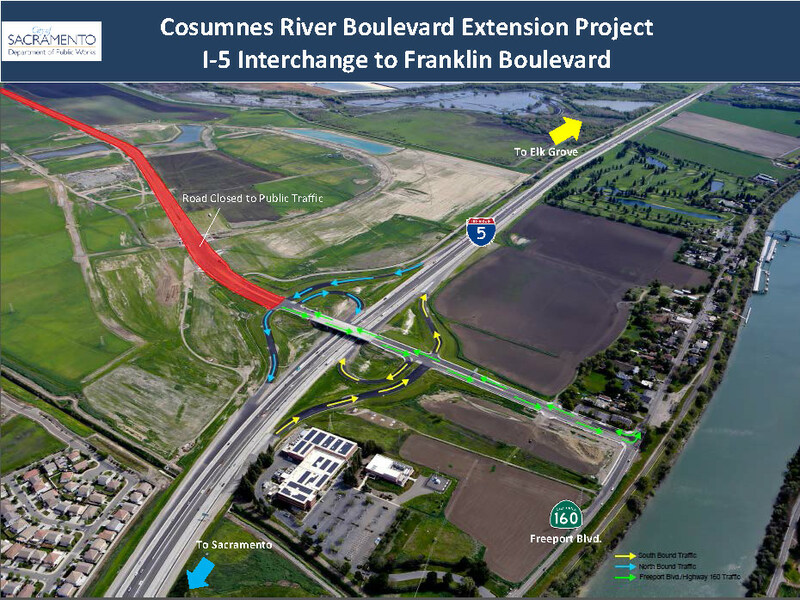 New interchange at I-5 and Cosumnes River Blvd. in south Sacramento to open early! The City of Sacramento is announcing the opening of a new interchange on I-5, just one mile south of Meadowview Boulevard beginning prior to the morning commute on Monday, May 4. The new interchange is a public-private partnership between the City of Sacramento and the Delta Shores developers in South Sacramento. M&H Realty Partners, the developer of the master-planned community, will begin construction on their 1.3 million square foot regional shopping center as the cornerstone of Delta Shores community. The opening of the interchange provides the initial I-5 access for the regional shopping center.